Jillian A. Tullis, PhD is an Associate Professor in the Department of Communication Studies. Her teaching and research interests focus on health communication, specifically communication about dying and death in healthcare settings. 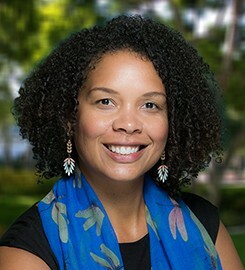 She returns to her home state, joining the faculty at the University of San Diego in 2015, after serving on the faculty at the University of North Carolina at Charlotte for 6 years. Tullis’ research uses qualitative research to investigate cancer center and hospice team communication with patients and their families about spirituality, dying, death, quality of life, and a “good death.” She recently published a co-authored essay in the Journal of Medicine and the Person about the meaning of wanting “everything done” at the end of life. Her work on an American Cancer Society grant funded project focusing on terminally ill head and neck cancer patients’ perceptions of communication with their surgeons was published in Health Communication. She also has publications in Qualitative Inquiry, Journal of Health Communication, Handbook of Autoethnography, and Behavioral Sciences. In 2010, The Middle East Cancer Consortium invited her to speak about spirituality and cancer care at their annual workshop in Istanbul, Turkey. And in 2018, she will speak about patient and doctor communication about dying and decision-making at Death Salon in Boston. Submit changes to Jillian Tullis's profile.